Laconic to the point of taciturn - he was called 'Black Jack' for a reason - Jack Brabham occupies a unique place in F1 history. Having honed his skills racing midgets and hillclimbs in Australia, he moved to England and linked up with Cooper. The partnership yielded back-to-back championships in 1959 and 1960, and a third followed in 1966 for the eponymous team that he'd set up with compatriot and designer Ron Tauranac a few years earlier. While renowned for his technical skill, Brabham deserved respect as a driver. His aggressive style might not have had the finesse of his rivals, but then again none of them were winning their third world title at the age of 40 - as unlikely a proposition then as it is today. 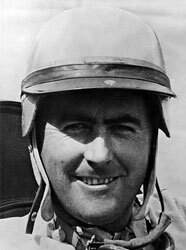 Should Jack Brabham be higher or lower in F1's greatest drivers?